I’ve been the Chimayó many times, and expect to see crosses everywhere. Just not in the sky…. 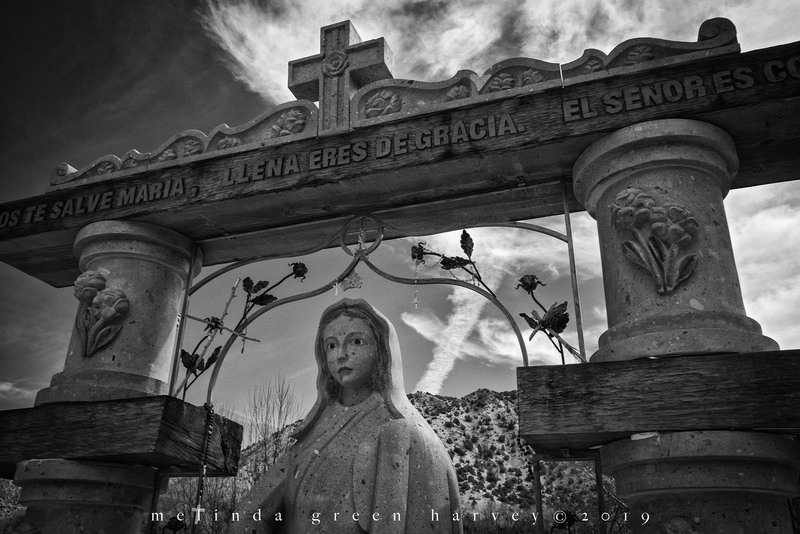 Posted on April 6, 2019, in Photography and tagged 365 photo project, black and white photography, chimayo, church, learning to see, Leica, melinda green harvey, monochrome, one day one image, photo a day, photography, postaday, road trip, sky, take time to look, thoughtful seeing, travel photography. Bookmark the permalink. 8 Comments. Seems ominous. Is that the impression you got? I see it as an establishing shot in the Hitchcock movie. Yes, only maybe a lot darker? A little darker. Mostly higher contrast.